Zeta Tau Psi brothers opening the fundraiser soccer tournament for Water to Thrive. ZTP collaborates with Water to Thrive to support the building of wells in Ethiopia, Sierra Leone, Uganda, and Tanzania. The Zeta Tau Psi fraternity organized a soccer tournament for the nonprofit organization Water to Thrive, raising $200 total. People of all ages came together to compete in the Regents Main Gym on Saturday March 16. The nonprofit works with partners and beneficiaries to bring clean, safe water to rural communities in Ethiopia, Sierra Leone, Uganda, and Tanzania. The Water to Thrive fundraiser is part of a larger collaboration between Zeta Tau Psi, the Center for Ethics and Public Engagement, the Center for Sustainable Communities, Educators for Social Justice, and the Decorah Middle School. In the decade since Water to Thrive was founded, they have funded 1,000 wells. This fundraiser had the specific goal of building a well in Tanzania, in a community that Luther students visit over J-term every year. 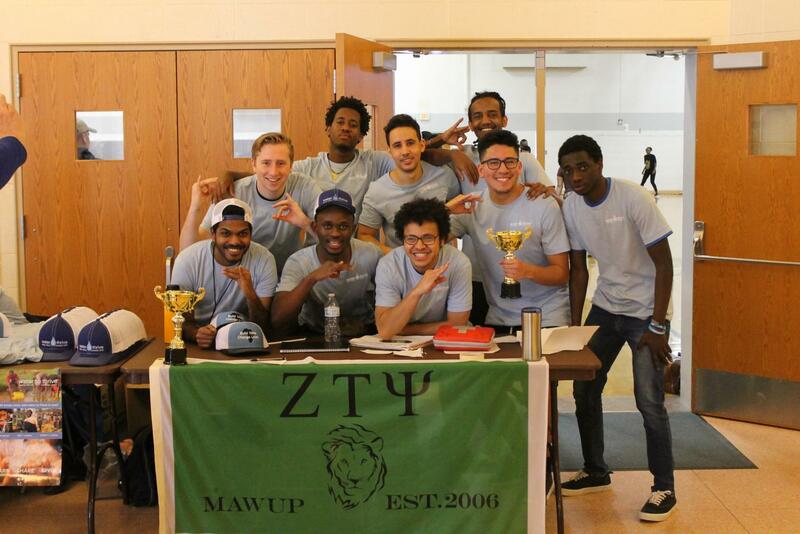 Ismail Hamid (‘19) has been a part of Zeta Tau Psi for three years, and acts of service for the community and the world are very important to him. Hamid went on to state the importance of getting clean water for communities who have little access to water. The Decorah Middle School will host the “Walk for Water” on April 28, which will be a walk from the school to the Upper Iowa River, emulating the journey that people must make every day in communities that do not have access to clean water or safe wells. Zeta Tau Psi President Sam Kottke (‘20) was pleased with the results of the tournament. “I feel like the tournament was a success in that we brought members of the Decorah and Luther community together for a good cause,” Kottke said. Director of the CEPE and Associate Professor of History Victoria Christman has faith in the NGO. A series of events sponsored by the CEPE will be held this semester following the tournament. These events include a lecture by Dr. Jim Hansen titled “Shape Your Future: Energy, Climate and Human Rights” on May 1; a performance by hip-hop artist Xiuhtezcatl Martinez on May 2, who in 2007 was, at age 6, the youngest person ever to address the United Nations; and a talk by Professor of Biology Jodi Enos-Berlage and Associate Professor of Biology Eric Baack on April 29 at the Decorah Public Library on their research into disease-causing microbes in our local water supply in Decorah. Luther students can purchase Water To Thrive t-shirts and hats in the Center for Ethics and Public Engagement office in Olin 214. Proceeds will benefit Water To Thrive. t Water To Thrive.